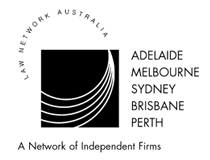 ﻿ IRDI Legal - Perth Law Firm - It's our people that set us apart. IRDI insight - it’s what sets us apart. Our commitment to our values of teamwork, professionalism, vitality and understanding underpins our IRDI insight philosophy, and makes a difference which our clients really notice. The ashes tug-of-war: Who is entitled to possession of the ashes? Do you still have the right to terminate for insolvency?